You're an awesome mom for letting them dance on the table! That is so cute! Look at them! Makes me happy! Oh my goodness- I can hear the laughter from here. So cute! So freaking cute, good to know I'm not the only one that lets the kids dance on the table every once in a while. Oh my goodness this is perfect!! These are the captures that will make you smile for a very long time. They are darling. You are correct, there is always a good reason for a dance party!! I can't even tell you how much I love that you let this moment happen! oh this is so awesome!!! love that you let them do that!! i can only imagine how much fun was had!! 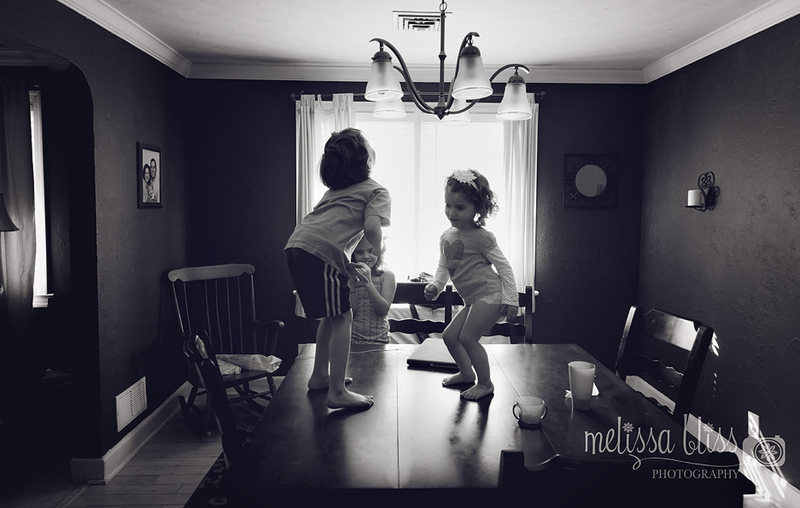 A dance party on the table! How fun ;0) Love it in b&w. Oh my - this is just so much fun! It totally brought a smile to my face!